Born on January 9th 1978 player for BC Granollers (Barcelona). Champion of Europe absolute at 71/2 Cadre, season 2009-2010. (Herten, Germany, September 2009). Sub Champion of Europe absolute at 71/2 Cadre, season 2004-2005. (Cervera, May 2005). Four Bronze medal in the European Championships absolute. 3 times at the 47/2 Cadre, season 2006-2007 (Herten, Germany, October 2006) and season 2007-2008 (Atenas, Greece, March 2008), season 2010-2011 (Haarlo, Netherlands), and 1 time at the 71/2 Cadre, seanson 2010-2011 (Haarlo, Netherlands). Sub Champion of Europe for Classic Teams with the SBPE Centelles Team. Season 2011-2012 (Haarlo, Netherlands). Bronze medal in the European Champonship for Classic Teams with the SBPE Centelles Team. Season 2010-2011 (Haarlo, Netherlands). Three times Sub Champion of Europe Junior,(1 at “free”, season 98-99 and 2 at the “47/2 cadre” season 97-98 and 98-99). Four times Sub Champion of Spain Junior. (2 at “free”, season95-96 and 96-97, and 2 at “cadre 47/2, season 95-96 and 96-97). Current Record of Spain absolute of general average to “free”, 285’71 in 5 games and at a distance of 400 cannons, Centelles. Los Narejos (Murcia, 2010). 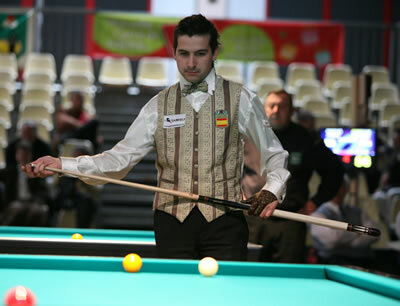 Record of Spain absolute of general average to “cadre 47/2”, 94’375 in 3 games and at a distance of 300 billar cannons. Champion of Europe at the cadre 47/2 played in Athens in March 2008. Current Record of Spain absolute of general average to “cadre 47/2”, 156’250 in 5 games and at a distance of 250 cannons, of Spanish Championship played in Llinars del Vallès in March 2009. Record of Spain absolute of general average at the “cadre 47/2”, 60.000 in 5 games and at a distance of 300 cannons, Almussafes, March 2004. Record of Spain absolute of general average at the “cadre 47/2”, 62,50 in 5 games and at a distance of 250 cannons, Elda, March 2008. Record of Spain absolute of general average at “cadre 47/2”, 89,00 in 3 games and at a distance of 250 cannons. Champion of Europe at the cadre 47/2 played in Athens in March 2008. Best general averages obtained at cadre 47/2. 90,07 obtained at the European Championship at the cadre 47/2 played in Athens in March 2008 in 6 games, 3 at 250 and 3 in 300 cannons. And 75,00, obtained in the final stage and semi final of the European Championship at the cadre 47/2 played at Herten (Germany) in October 2006, at a distance of 300 cannons in 3 games, 900 cannons in 12 innings. 10 times champion of Catalonia “free” 1st.category, (99-00, 00-01, 01-02, 02-02, 03-04, 05-06, 06-07, 07-08, 08-09 and 09-10 seasons). 7 times Champion of Catalonia at “cadre 47/2” 1st. category, (00-01, 03-04, 05-06, 06-07, 07-08, 08-09 and 09-10 seasons). 6 times Champion of Catalonia at “cadre 71/2” 1st. category 02-03, 04,05, 05-06, 06-07, 07-08 and 08-09 seasons. 2 times Champion of Catalonia for Classic Teams. One with the BC Granollers Team “April 2009”, and one with the SBPE Centelles Team “April 2010”. 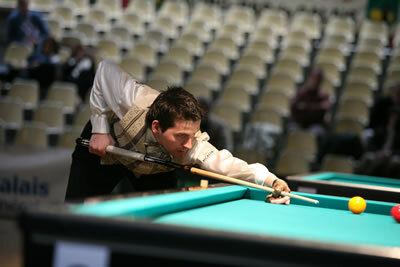 Winner of the III Open of Catalonia at cadre 71/2, (Llinars del Vallès, September 2006). 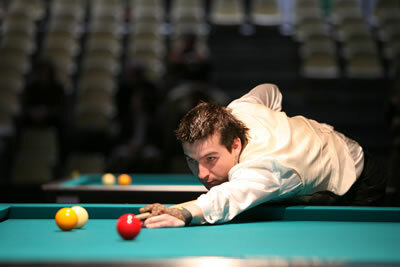 Winner of the IV Open of Catalonia at Free, (Granollers, Maig 2007). 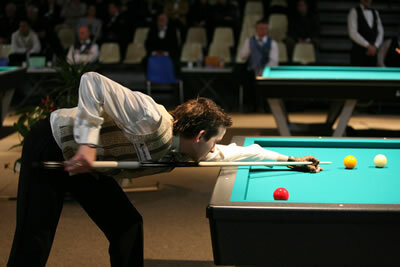 Twice Champion of Catalonia at “side” 2nd category (01-02 and 02-03 seasons). Champion of Catalonia at “cadre 47/1” 2nd category, 97-98 season. 9 times Sub Champion of Catalonia 1st category, (3 at cadre 47/2”, 3 at “cadre 47/1”, 1 at “cadre 71/2”, 1 at “free” and 1 at the “side”). 2nd class II Open of Catalonia, Side, (Granollers, Abril 2005). 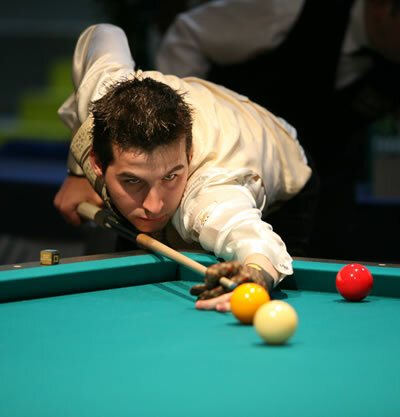 4 times Champion of Catalonia junior, (1 at “free”, 96-97 and 3 at the “cadre 47/2”, 95-96, 96-97 and 98-99 seasons). 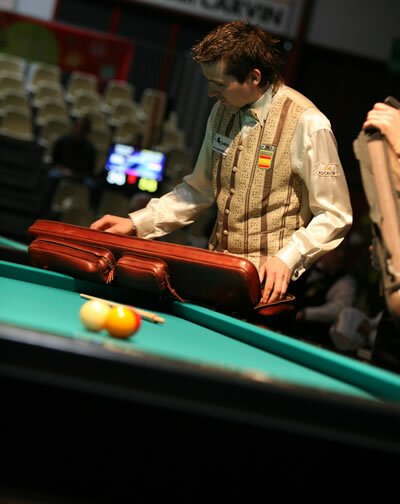 3 times Sub Champion of Catalonia junior, (2 at “free” 97-98 and 98-99, and 1 at “cadre 47/2”, 96-97 seasons).